If you want to add a comment to the items of an invoice (and the description of the invoice items themselves is not sufficient for you), you can create an empty package, add it to the booking, change the name if necessary, ensure that the package name is printed on invoices and simply include this in the invoice. First create a new, empty package in the package administration (Administration> Extras and Packages> tab "Packages"> click the + below the package list to create a new package) . 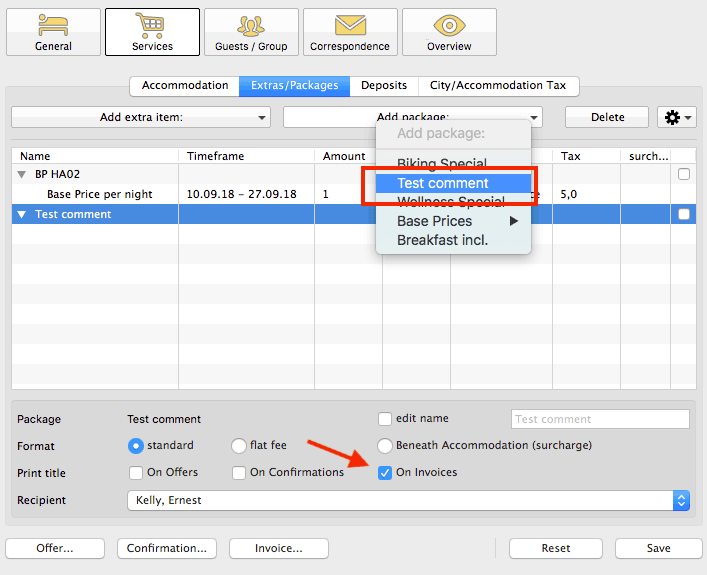 Now add this package to a booking (In the booking window > Services > tab "Extras/Packages" > Add package). Make sure that "Print Name> In invoices" is checked. And then create the invoice, whereby you also settle the package and drag it to its desired location (i.e. 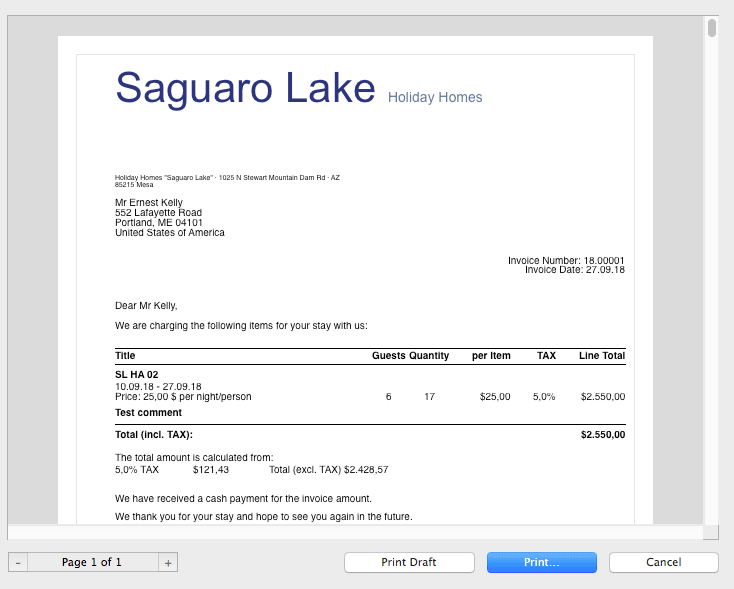 above or below another invoice item) using Drag& Drop.